There are many challenges to the effective management, control and use of property. Asset managers are required to maintain accountability in environments that challenge them daily with decentralized receiving, changing regulations, multiple acquisition methods, advances in technology, variable demand, business unit reorganizations and the transfer and deployment of large quantities of assets to the field. Sunflower Systems simplifies enterprise asset management by providing software tools and business solutions to increase accountability and gain regulatory compliance as an outcome of everyday tasks. 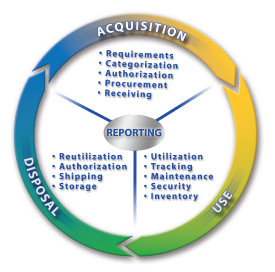 Sunflower Assets® is the premier software solution for tracking physical and financial accountability for all assets from acquisition through disposal. Sunflower Assets® enables property managers to monitor, control and account for property transactions. The software accounts for all types and classifications of property including personal and real property, material, capital, sensitive, IT assets, vehicles, weapons, scientific equipment, uniforms, parts, tools and more. Additionally, Sunflower’s mobile solutions for receiving, physical inventory, shipping, and excess management simplify property processes by bringing your asset data to a handheld device.